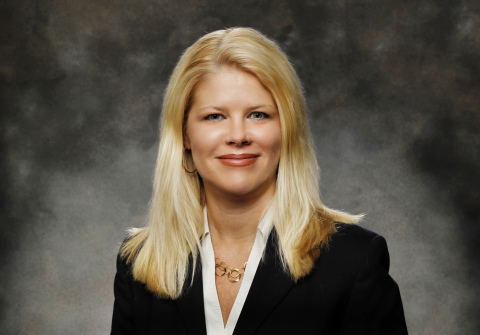 NASHVILLE, Tenn.--(BUSINESS WIRE)--HCA Healthcare (NYSE: HCA), a leading healthcare provider with 177 hospitals and 119 freestanding surgery centers in 20 states and the United Kingdom, today announced that Ashley Johnson has been appointed chief financial officer of HCA’s American Group, which includes 85 hospitals. She will assume the position on October 1. She will replace longtime American Group CFO Rick Shallcross who is retiring. Johnson, a 21-year veteran of HCA, has served as chief financial officer for HCA’s Capital Division with responsibility for financial operations and reporting for the division’s 18 hospital campuses located in Indiana, Kentucky, New Hampshire and Virginia. Prior to that position she served as CFO for several HCA hospitals including Presbyterian/St. Luke’s Medical Center in Denver, Colorado; Memorial Hospital in Jacksonville, Florida; and Central Florida Regional Hospital in Sanford, Florida. Johnson is a Certified Public Accountant and holds bachelors’ degrees in accounting and management from the University of Central Florida. A search for Johnson’s replacement at the Richmond, Virginia-based Capital Division is underway. Current American Group CFO Rick Shallcross is retiring after 25 years’ service to the company. He joined HCA as CFO of Rose Healthcare System in Denver, then became the Utah Division CFO in 1996 and the Continental Division CFO in 1997. He has served as a group CFO for HCA since 2001. Shallcross is a Certified Public Accountant and holds a bachelor’s degree in accounting from the University of Denver. Nashville-based HCA Healthcare is one of the nation's leading providers of healthcare services, operating 177 locally managed hospitals and 119 freestanding surgery centers in 20 states and the United Kingdom. With its founding in 1968, HCA created a new model for hospital care in the United States, using combined resources to strengthen hospitals, deliver patient-focused care and improve the practice of medicine. HCA has conducted a number of clinical studies, including one that demonstrated that full-term delivery is healthier than early elective delivery of babies and another that identified a clinical protocol that can reduce bloodstream infections in ICU patients by 44 percent. HCA is a learning healthcare system that uses its more than 27 million annual patient encounters to advance science, improve patient care and save lives. Please click here to connect with HCA on social media.